H.K. Sherman Fine Art is the website for artist Helene Kudrow Sherman. 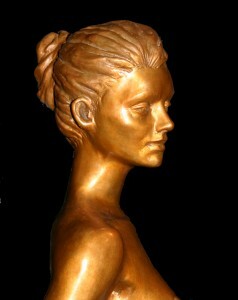 Helene breathes life into her sculptures. They reflect her grace, beauty and elegance. Her bronze figures seem imbued with a spiritual optimism and serenity. Helene is one of those rare individuals who has both an artist’s eye and soul ~ enabling her to see the beauty in life accompanied by the talent to express it for all to share.